This device is AMAZING!! It is called the ShoulderSphere. About 6 months ago I thought I tore/ ripped my rotator cuff. Had been to a chiropractor, without much improvement. Then I went to see Dr. Larry Foster. He did all the necessary procedures (X-Ray, MRI). These came back with no tear. Dr. Foster thought I would be the perfect candidate to try Win Chang MD’s ShoulderSphere. I have been using the ShoulderSphere for 5 days. As of 6 days ago I was in so much pain, I could hardly stand over a golf shot in the address position. Yesterday, I played 9 holes at Centennial Golf Club with Dan Barnard, my head Professional and shot an even par for 9 holes. Win Chang MD has developed something that I believe could change the way all athletes recover from all types of shoulder injuries. Maybe more importantly prevent them from happening all together. This caught my eye. I have an impingement in my left shoulder. Old imbalances from nerve damage that I need to frequently address, treat and laziness or lack of attention have at times caused to flare up. I love my Indian clubs, Graston work, and correctives. All have a place, a purpose and also limitations. The ShoulderSphere got really deep into the muscle, the tension I felt was unlike anything I’ve experienced with heavy lifting, yet doing the drill was like doing a super slow 5RM bench press, in “3D” if it makes sense: making the ball spin inside the sphere, moving the arm in all planes and directions without losing the spin! Phew! Coordination, tension and quickly improved ROM with pain reduced dramatically. Facials expressions genuine. He took his time in explaining the anatomy of the shoulder and how impingements work with visuals and models. Legit! Having played in college and professionally and getting the opportunity to work with younger baseball athletes for almost 20 years, the shouldersphere is one of the first pieces of equipment I’ve seen – and used – that is truly practical and simple to use at the same time. The shouldersphere provides instant feedback in areas where your shoulder needs to be stronger. It also allows you to determine where your throwing pattern/arm action needs to be cleaned up. While it is simple to use, it is not easy – and that’s a good thing! Trying to go through just one complete “throw” while performing it correctly with the shouldersphere is a great workout. 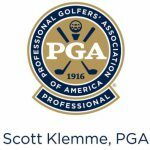 I recommended it immediately to 5 players that I work with and they have all seen an increase in shoulder health as well as identifying areas where they can be cleaner with their own throwing patterns. Absolutely a 5-star product. Dr. Chang, I can’t put into words how great my shoulder was feeling after the workout before throwing the ball. I felt more opened up and just ready to throw more than I ever have. I would definitely be interested in one to take with me for spring training and then this season. I’m excited to start working it before that after throwing and getting those maller shoulder muscles and rotator cuff firing and stronger; helping not only my velocity and consistently being able to sit 92-95 but also helping me stay healthy for the whole season. I’m very excited to see how great this amazing design and idea takes off and believe it will be a HUGE game changer in all athletes, not just baseball, softball, and tennis. Thank you for your time today and can’t put into words how excited I am. 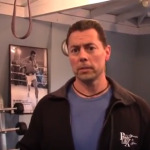 I have been a personal trainer for over 20 years. I train professional athletes, to kids, to 90-year old women with osteoporosis. This invention by Dr. Chang is nothing short of spectacular. I have seen improvements in myself personally. I can feel stabilization of my shoulder…I 100% endorse this! I use the ShoulderSphere as a strengthening and warm up device. 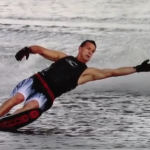 The isolation of my rotator cuff is so pronounced that I felt no pain with the loads placed on my shoulder with water skiing. There is nothing else that I found in the gym, with free weights , or machines,or rubber bands, or TRX bands , nothing I have found to be able to isolate my rotator cuff area like the ShoulderSphere! Dr. 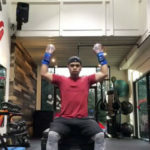 Win Chang has developed a much more functional shoulder strengthening exercise that will replace all your tubing exercises. 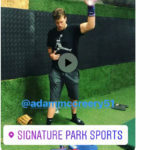 Our program loves the Shoulder Sphere and believe in the process that will help gain MPH on your fastball and allow you to support the shoulder to handle heavier workloads. Once this product becomes known, everybody will be using his product. 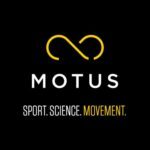 I have been in sports medicine for 40 years, and this is hands down the best device I have ever seen for training the synchronization of the shoulder girdle muscles – we have seen improvement after just one session. Love the ShoulderSphere! We use it frequently in SAVAGE training. Love this! Use it Extensively for training and rehab. We use the ShoulderSphere in our throwing program. Very good device that is easy to teach. Kids as young as 9 or 10 years old learn this easier than traditional strengthening. Hi Win. The reunion isn’t until October, but we did have our first rehearsal (in 50 years!) last week. I am delighted to report very positive results thus far. After a number of weeks where I didn’t really feel much of a difference, in the last couple of weeks there seems to have been a great improvement. The rehearsal went on for several hours without any pain at all, but that was with an electric guitar that is much thinner than my regular acoustic, so perhaps not a real test. Because I have been busy, I haven’t played more than 45 minutes on the acoustic in the last two weeks, but when I played that long last evening, I had no pain. I’m hoping to replicate that later this week, when I expect to have some time and go beyond an hour. So this is all very encouraging. I suspect that the improvement is attributable to a combination of using the ShoulderSphere and perhaps just giving it another month (sugery was August 12). There is still a small amount of stiffness in the morning, or if I happen to be in one position for a protracted period of time (dentist chair, for example), but nothing like what I had before (and nothing compared to what the dentist did to me!). The two things about the ShoulderSphere that seem the most positive are that I can modify the movement, or even the stationary position of my arm to get at exactly the area from which the discomfort is emanating and the position that triggers it; and it is very convenient to use in my office, hotel room or whatever. It would be slightly easier to use if the straps had Velcro. Beyond that, if you figure out a way to stop it from making noise when being carried around, that would be a tremendous breakthrough! Give me a couple of weeks and I’ll let you know if the acoustic really is essentially pain free. I couldn’t be happier with the ShoulderSphere. It’s a great tool to use to help strengthen your shoulder for baseball. While being out with a knee injury, it allowed me to be able to keep my arm in shape while resting my knee. Unlike bands or other exercise, the ShoulderSphere strengthened my entire shoulder at the same time without leaving it feeling tight. It’s incredible how it uses a baseball movement while strengthening at the same time to keep your arm in baseball condition. I felt the results immediately after using it my first time. I could tell that my shoulder got a good workout in 10 minutes compared to doing 3 different exercises on band to target the same muscles. My shoulder feels stronger and I finished an entire season with no pain or tenderness at any point in my shoulder. 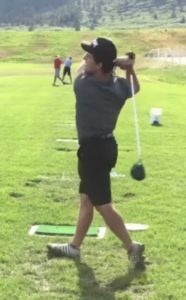 I have been using the ShoulderSphere for months now.In the offseason I was using it nearly everyday and when the season started I used it two times a week to maintain the strenghth and loosen my shoulder. The best part about it to me is that it not only strengthens the shoulder muscles, but it keeps my arm loose unlike bands or dumbbell workouts. As a physical therapist, I would use it….from high school athletes to my older patients who had rotator cuff repair. I would use it, for sure! Thumbs up! It helped my tennis game a lot. It prevents injury and helped strengthen my rotator cuff all around. And I don’t feel pain anymore with my injury. Even if you don’t have an injury, if you do this, it will prevent injury. I throw 92 to 95 miles per hour. First take with the ShoulderSphere, man, wore me out! Felt muscles firing in my rotator cuff I have never felt before. It just blew my mind just how great my arm felt alive and loose after doing it. The thing that helped me heal faster was the ShoulderSphere. This is an amazing apparatus. I have been a bodybuilder all my life. If you try it, you will have more power and endurance in your shoulder area than you can ever believe possible. You have to try this. This is an amazing, amazing tool! I was experiencing shoulder pain for a few years. An MRI revealed two small partial rotator cuff tears. That’s when I was introduced to the ShoulderSphere. I used it for between 5 and 10 minutes per day and have gotten amazing results. I no longer have pain in daily every day use of my shoulder, and I have returned to the gym at full strength. I would highly recommend for anybody who has been prescribed physical therapy for shoulder pain. I have an 11 year old daughter who is a competitive tennis player. 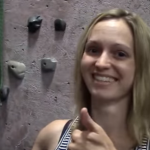 After experiencing shoulder pain, her doctor recommended rest and physical therapy. That is when she started using the ShoulderSphere. Her shoulder is now pain free and stronger than ever. She continues to use the ShoulderSphere to stay strong and avoid future shoulder problems. I am so happy I have the ShoulderSphere. It keeps me strong and my shoulder doesn’t hurt anymore. - Isabelle M.|11 year old competitive tennis player. The BodyBlade, you were able to achieve in the range of 11 to 12 Hertz of rotator cuff contractions, whereas the ShoulderSphere you couldn’t go beyond 7 or 8 at the most. The ShoulderSphere is harder to recruit. The reason is when you are using the BodyBlade you have other muscles to assist you besides the infraspinatus. Whereas with the ShoulderSphere you are just isolating the infraspinatus, so it has to do all the work. This makes it a harder work when using the ShoulderSphere. It isolates the infraspinatus, while the BodyBlade does not. The BodyBlade you do get assistance from other muscles and makes work easier so the muscles can contract faster. This product is awesome for people who have shoulder or rotator cuff pain. I came across this product by chance after looking up my former orthopedic surgeon, Dr. Win Chang the inventor of this product. 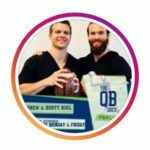 I fell at work and suffered a rotator cuff injury and was interested in getting a second opinion, little did I know he retired and had invented a product to aid in shoulder injuries. The shoulder sphere specifically targets the rotator cuff muscles by locking the wrist in place. It is not easy, but once you get the hang of moving the ball without making it bounce, you can feel those muscles working. After going to months of physical therapy using traditional exercises of therabands and push, pull exercises, with no benefit to my shoulder, I have noticed an improvement with the shoulder sphere after a month of use. I will continue to use it and recommend it to those who have rotator cuff pain or shoulder pain. 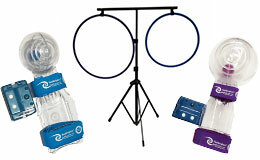 I have both the A7 and F2 ShoulderSphere products, as well as the coaching rings. I am 6 feet tall and weigh just under 200 pounds so the A7 is what I use most of the time, but my wife and teenage boys seem to do better with the F2. The work outs are admittedly tough after a couple of minutes but nothing short of remarkable as far as the results. I noticed an improvement in my overhead serve in tennis within two weeks. This revolutionary device is way more than it claims to be. The training rings are definitely helpful in guiding your work outs, but if unsure, you can always order after trying out the ShoulderSphere and following the suggested exercise regimens that do not involve the rings. Excellent device. I recommend it highly. Working on the five basic positions, my shoulder pain has gone away. I hope by the time I finish the rehab, I will be able to throw without pain. Game changer for me. It really took pain I had been getting treated for unsuccessfully away, and allowed me to move well for weeks! This is a fantastic invention. My shoulders feel much better now even after one week of trying to use it. It took me a while to get a good handle of this new sphere. Very helpful, you can start out slow – get the hang of it. The tracker takes some practice but is worth it for feedback about the intensity of the workout. Thanks for inventing this. I started using the ShoulderSphere a few years after hurting my arm. Since it’s use, the need for cortisone shots has been eliminated. 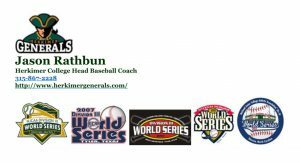 The pain while pitching has decreased and I can pitch longer into games. I strongly recommend this device for anyone looking to strengthen their arm after injury. I can definitely feel a difference when I am consistently using it. The days when I use it pre/post throwing I’m not sore the following days, compared to days when I throw without it, front of my shoulder feels stiffer the day following. It’s crazy but those little muscles are definitely so important and nothing hit the rotator like the Sphere. Thank you so much for the info and for sending the other items. We’ve enjoyed using the Sphere—and most of all have enjoyed seeing the progress with our patients! 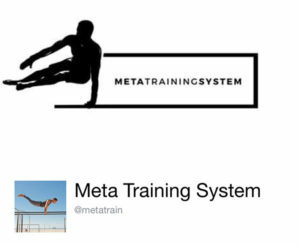 I’m convinced your device will revolutionize the shoulder rehabilitation industry—including the wellness industry. As a physical therapist and Crossfit coach, Dr. Chang’s vision for rehab and injury prevention using the SoulderSphere is music to my ears. 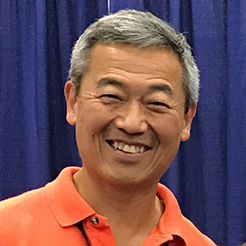 Dr. Chang believes in educating clinicians and patients alike on the importance of fixing the cause of shoulder pain at the root of the issue. His ShoulderSphere technology and protocols have worked for both my elite CrossFitters and my tradional patients in the clinic, and they will work for you! Huge fan. A few years of clinical work as an athletic training student in high schools and colleges never took rotator cuff rehabs to this type of level. I can see the huge impact this product can have for faster recovery and reduction in the reoccurrence of injury. Four years of shoulder issues and endless attempts to fix the problem with no results the ShoulderSphere came to the rescue. Now I’m able to get back to some of my favorite exercises only after months of using the easy to follow instructional videos. The A7 is incredible no matter your sport or skill level. I plan on playing around with many other tools or ideas with this concept of strengthening in mind. If you’re trying to increase your rotator cuff strength this is the product for you. All I can do is thank you. I love the ShoulderSphere. It’s portable and easy to carry when traveling. It’s also the toughest rotator cuff workout I’ve ever done. I was dumbfounded the first time I saw your ShoulderSphere. It was an extraordinary thing. If you haven’t heard of the “ShoulderSphere” maybe it’s time to introduce yourself to it. I am sure Bruce Lee would be proud of its design and functionality as it was originally based off the famous “One Inch Punch”! The ShoulderSphere has helped Josh and I add a different dynamic to our work with our clients. Rather than performing only traditional rotator cuff strengthening with tubing or theraband, the ability to perform rotational based stability drills have added another element to our treatment sessions. We have been able to integrate the shoulder sphere with other schools of thought, such as DNS (dynamic neuromuscular stabilization) and FRC (functional range conditioning), and has allowed for some great results. Helping people reduce pain to increase their performance in their fitness regimens, sport, and/or simply living life without nagging pains. Our ability to spot asymmetries and areas of weakness for the rotator cuff has been enhanced due to the fact that inability to perform rotations with the sphere is obvious because the ball will simply not rotate around the sphere, but rather clunk around inside. We can also easily change the difficulty of the drill by spinning it faster or slower. As an added bonus, personally I’ve been using it in my own rehab for my left shoulder that subluxed last year during a basketball accident. I have been using it to help increase my overhead stability (see video). I was using this specifically to help my overhead pressing, which was part of my workout this morning. I am still working through it, but it has made an amazing difference, and I can’t wait to share it with more clients that need shoulder rehab. Within 7 days of using this, the pain in my shoulder went away. After a month now, the strength is back in the shoulder and am able to use the shoulder pain free. Thought this was a gimmick, but had to try something besides bands and weights. Now my wife uses it, with the same response. Should of bought this a while ago. McGill bench press meets ShoulderSphere for one hell of a warm up. If anyone is having shoulder/rotator cuff pain in any type of movement you NEED this piece of equipment, it’s life changing. Four years of shoulder issues and endless attempts to fix the problem with no results the ShoulderSphere came to the rescue. Now I’m able to get back to some of my favorite exercises only after months of using the easy to follow instructional videos. The A7 is incredible no matter what your sport or skill level. If you’re trying to increase your rotator cuff strength this the product for you. Shoulder tendonitis!! Played a tournament today. Won my first match but the problem with my right shoulder got worse as the matches went on. In my third match, most of my forehands were limited to slices because it hurt too much to properly hit them. So therefore, I’m not picking up a racket until I have seen the physio again on Monday. So frustrating!!! My ShoulderSphere has helped me so much already only after 3 days of using it! My shoulder is doing fantastic! I’m doing the exercises with both shoulders and have been doing your advanced workout for a few weeks, so I just ordered the A7. I’ve also been doing the golf workout on top of the other workout and will be testing out the results on Friday. Not only has the pain in my shoulder almost completely disappeared, but my shoulders are noticeably firmed up and significantly stronger. Thanks again for the personal attention! World Long Drive competitor crushing 405 yards with 140 mph club head swing speed and a golf ball speed of 220 mph! I’m very fortunate to have partnered up with ShoulderSphere this year. In the past year, I have had issues with deep pain in my lead shoulder which prevented me from training how I would like to. This device has been an awesome addition to my training regimen and has helped my shoulders stay healthy (and helped me regain health any my lead shoulder) even amongst the significant stress of swinging a golf club 140 mph repetitively. 1. The training strengthens the shoulder multidirectionally through the sport specific movement and also does so in the end range of movement (where you are most likely to be injured). Added strength/stability in the end range is huge for preventing injuries. 2. The sport specific movement training is done in slow motion and allows you the opportunity to really feel your body moving properly and work on perfecting movement quality. This type of training has helped me fix power leaks and has absolutely helped me add speed to my drive. DNS modified 5 months position (side plank) with @shoulderspherethrowing to create self perturbations while mimicking the throwing motion. This exercise aides in hypertrophy and strengthening of the rotator cuff musculature and restores the balance between the tonic and phasic musculature of the Upper Extremity. The closed chain shoulder also is demanding support from rotator cuff and periscapular musculature in order for the scapula to move on a fixed humerus. Therefore both sides benefit and should be trained bilaterally. Rotator cuff strength is important for any overhead athlete and pitchers need intraartciular stability in order to withstand repetitive throwing motions. We’ll be doing this with our QB’s! Have you tried it? It’s freaking crazy. Shoulder Rehab incorporating the very cool and innovative ShoulderSphere, great for strengthening the rotator cuff! Our client here is rehabbing a shoulder labral tear and shoulder instability in a D2 flexion-extension PNF pattern…not easy!! Prompt service, product as described. Love using this product! The videos on the ShoulderSphere website provide all the support needed to use it effectively. It is a significant aid in pain reduction and helping regain range of motion and strength in a shoulder I just from over while painting my house. I am using it on both arms to prevent injury on the left side. When you register, the doctor/inventor response. Worth the $! The ShoulderSphere is an excellent tool for working the rotator cuff muscles whether for rehabilitation of the shoulder, or for athletic training purposes. 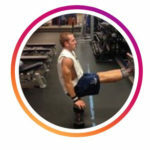 The seller’s website has a variety of videos offering exercise routines both general and sport specific. If you have the need, or desire to strengthen your shoulder, the ShoulderSphere would be worth your while. Shipped quick. Wish I was as quick as using it! Item arrived on time. Contacted seller for instructions & received prompt assistance via email. Just started using device–too soon for opinion there. Hoping for the best! The A7 is seriously for advanced exercise! But the overall ShoulderSphere concept is fantastic. My shoulders have never been stronger, and I avoided shoulder surgery for torn rotator. Fantastic! It is fire. Like such a good burn in a short time. I just got mine in and holy cow it’s challenging! Nuovo fantastico attrezzo, fondamentale per la propeocezione della cuffia dei rotatori! Armando Barchi li scova tutti! I fell in love with this tool. Your invention is fantastic. Thank you. I know you’re probably thinking psssst. Yeah right. It’s legit. Would love to see how long you could do it for. I know you’re a savage. Permanently in my coaching kit bag. It’s a must for all throwing athletes. For the aerial performance really important to keep rotator cuff in strong condition. Every acrobat and gymnast is supposed to have some tools for training these important stabilizing muscles. 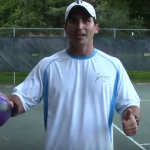 ShoulderSphere is a great idea on how to precisely work with rotator cuff muscles. We are amazed at how it has improved our shoulder workouts and the versatility of it! We absolutely love your product! Such a great addition to our functional strengthening programs for overhead athletes! 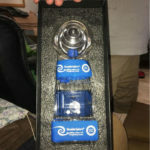 Fastest way to get that good burn feeling in your rotator cuff…use the ShoulderSphere stand by for more demonstrations and a YouTube review on this product. Really works the muscles very efficiently and makes you really focus on form. Over the next few weeks I’ll be showing you more information about the uses for it. Head on over to their account for more information in the mean time! !